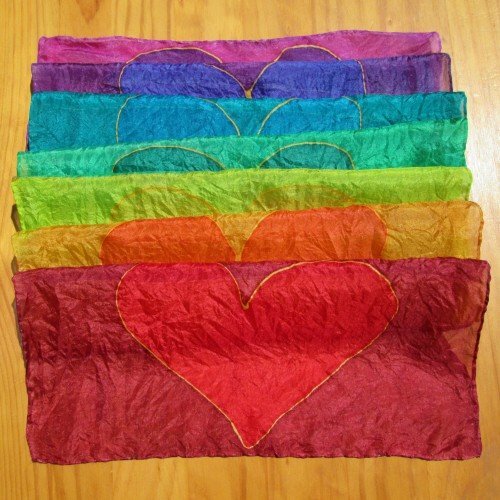 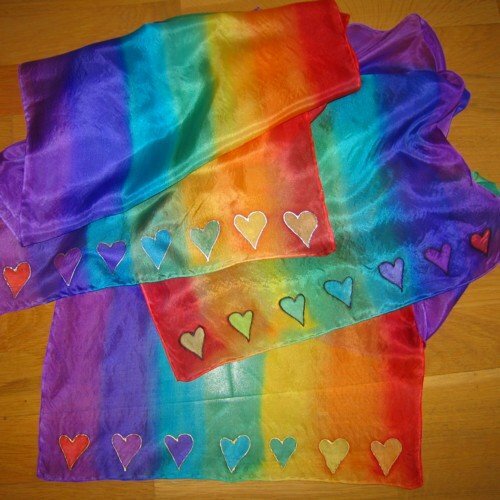 Chakra silk colour therapy scarf big hearts hand painted. 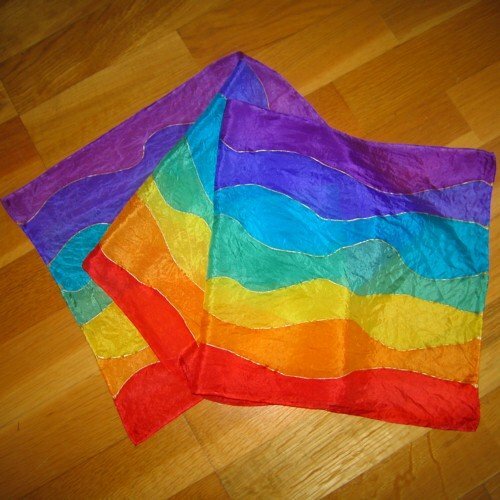 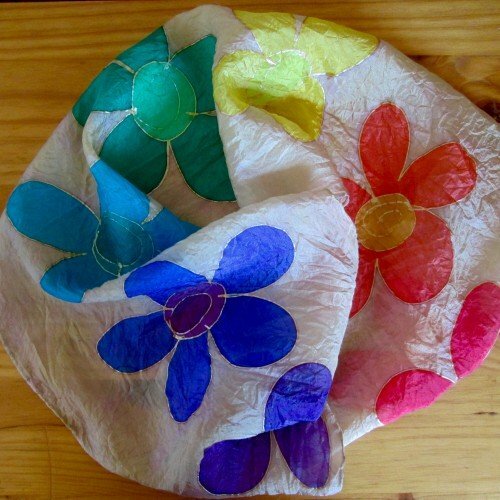 While this is the largest silk scarf I paint and the most difficult to paint, I still love making them. 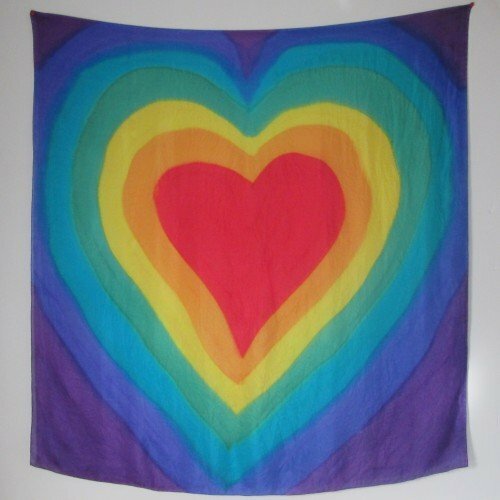 Due to its size of approximately 110x110cm/43 inches square, the impact of the vibrant chakra colours is stunning.